Here you can utilize our lowering shock lookup tool by entering the vehicle year, make, and model. If you cannot find shocks for your vehicle, please call us at (724) 430-2068. High Pressure Nitrogen Gas Charged - For improved ride and handling; helps maintain tire to road contact by reducing aeration. 1-3/8" Bore - More optimal operating pressures than standard 1" bore units. Urethane Bushings - Longer lasting and more durable than rubber bushings. 10-Stage, Full Displaced Valving - Better valving range on both the compression and extension cycles of the unit for a smooth, comfortable ride. Internal Bump Stops - Cushions full rebound impact. Sintered Iron Piston - Helps eliminate fluid "by-pass" of piston valving. 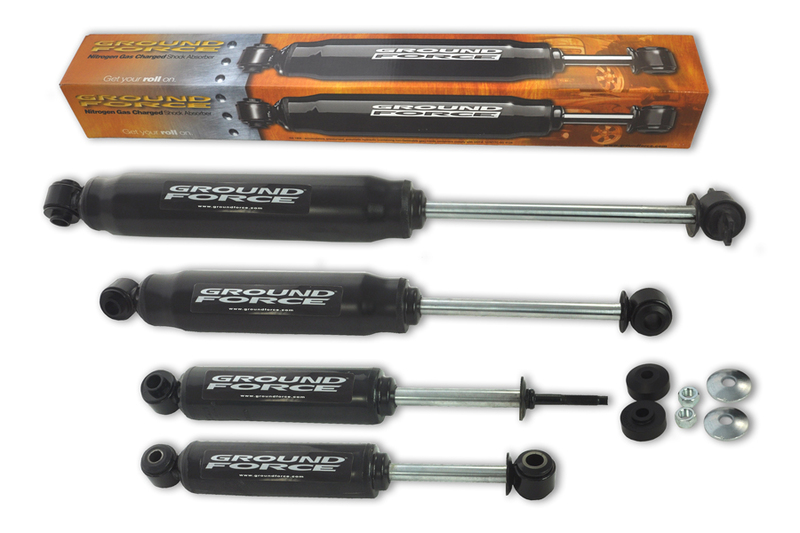 5/8" Diameter Rod - Heavy-duty rod for consistent control and longer service life. 2-3/8" Reserve Tube - (when space allows) More fluid for more consistent performance. Unique Seal - Designed to retain gas charge without excessive wear or friction between rod and seal. Double Arc Weld - For greater strength and lasting durability.